You probably think there’s not that much to learn about snowmen – but how wrong you are. 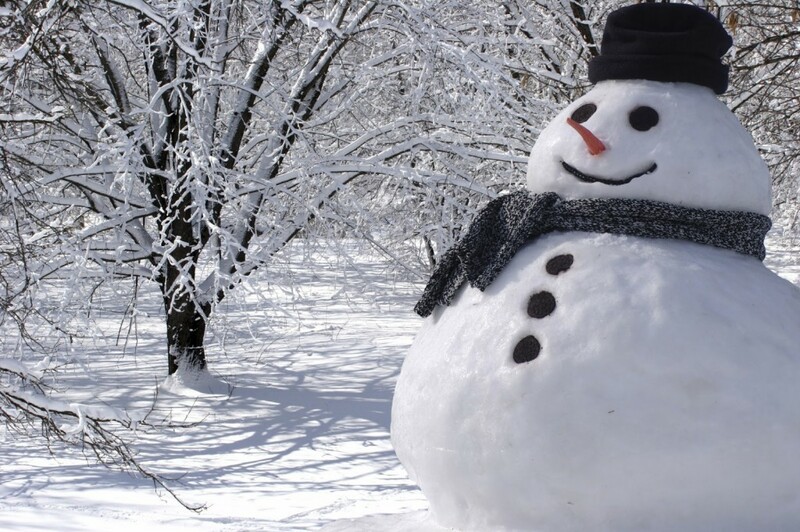 We here at The List Love have 10 amazing snowman facts to share that you just don’t know. The first ever snowman documented was in the illustration from work that was entitled Book of Hours, way back in 1380 – and it was found in Koninklijke Bibliotheek in The Hague. The previous record was also set in 2009 in Bethnel, Maine, and was called Angus, King of the Mountain, in honour of the governor of Maine, Angus King – who was 113 feet 7 inches. The people of Zurich, Switzerland, love a good snowman – love blowing them up, that is! 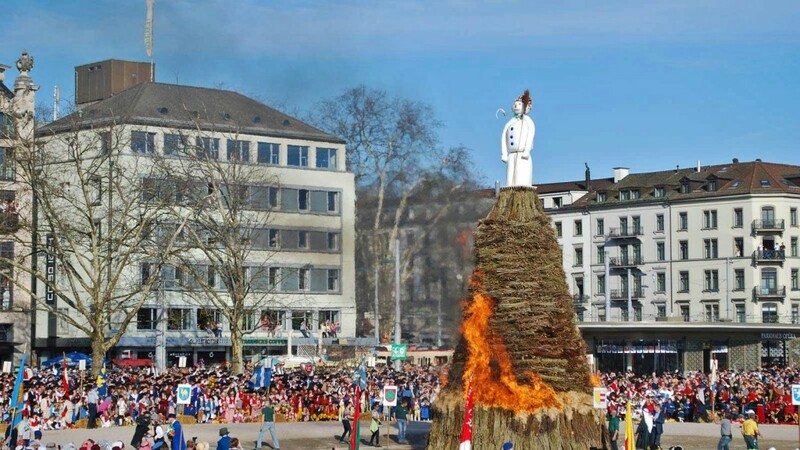 Every single year since 1818, the city celebrates the start of spring by blowing up a snowman – and the holiday is known as Sechseläuten. To begin the celebrations, on the third Monday of April, a cotton snowman named the Böögg is stuffed with dynamite and is paraded through the town by blacksmiths, bakers and various other tradesmen, who throw all sorts of sausages and bread to the crowd. At the end of the parade, Böögg is placed on 400ft high pile of scrapped wood. The bells of the Church of St. Peter chime six times, which represents the passing of winter and the start of spring. Winter is officially over as soon as the snowman is blown up – and the shorter the combustion, the longer summer is supposed to be. Since 2005, private resident Billy Powers erects Snowzilla every pre-Christmas season in his front yard. Snowzilla is a giant snowman that attracted attention on its first appearance, and so has returned every year due to popular demand. Not everyone likes Snowzilla, though. 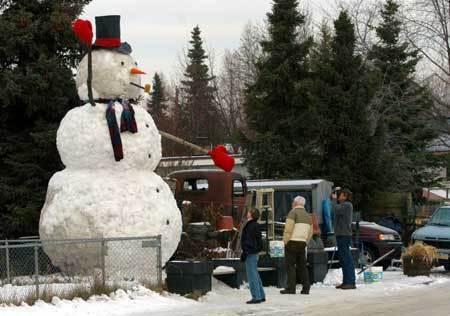 One of Billy’s neighbours complained that the 22ft snowman, which features beer bottle eyes, a carrot nose and a corncob pipe, was resulting in heavy traffic and warned of safety concerns in 2008. City officials issued a cease and desist, which prevented Snowzilla from being completed – but just a few days later, Snowzilla was completed on the lawn, although Billy Powers denied making it. The next year, following public outcry, Snowzilla returned with interference. 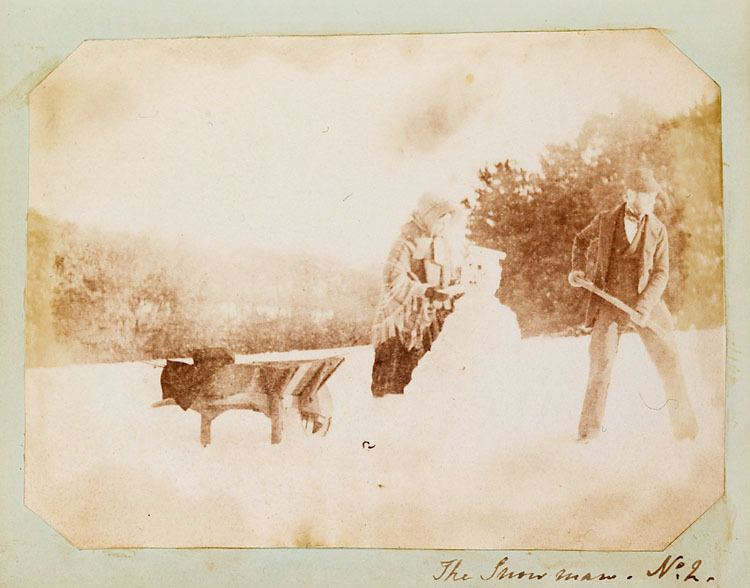 The above image is the earliest known photograph of a snowman, and has been recorded in The National Library of Wales. The photo was taken in 1853. 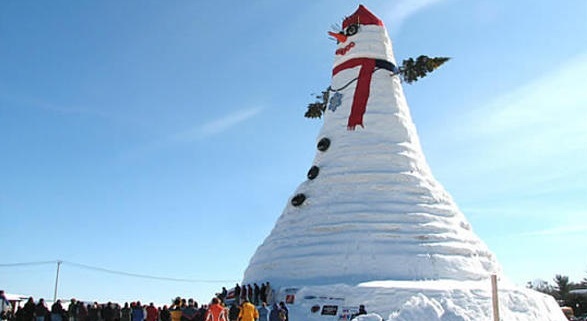 Japan holds the Guinness World Record for the most snowmen built in one hour. 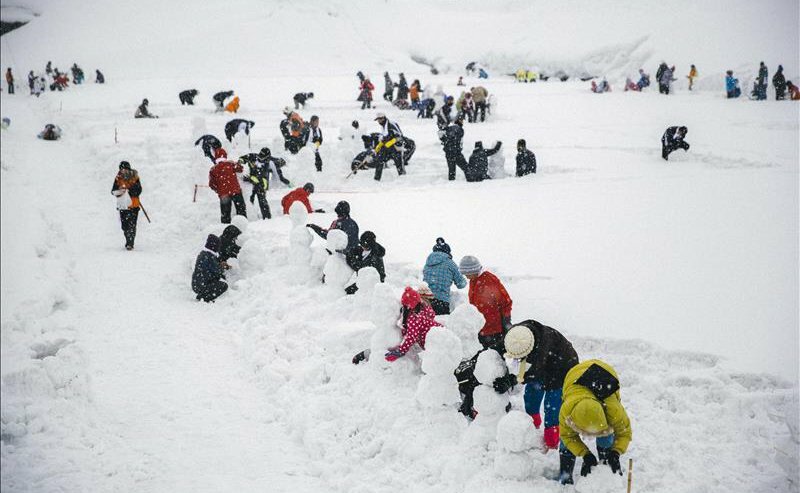 An incredible 2,036 snowmen were built in just sixty minutes by Drama 24 Unhandyman on Zuriyama Observation Field, in Akabira, Hokkaido, Japan, on 28 February 2015. The group consisted of 1,406 participants and the event took place during the filming of a TV drama, with even the actors participating in record. It took a Guinness World Record adjudicator and 4 witnesses two hours to measure and count the snowmen, whilst thirty stewards ensured participants used no tools and stopped on the adjudicator’s signal. 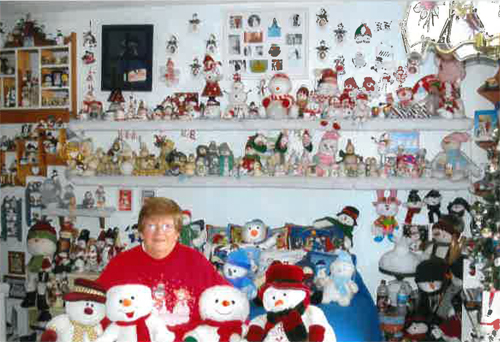 Karen loves all her snowmen, but her favourites have to be the the pink snowman that sings the festive song “Santa Baby” and a red bird making a snowman. Scientists at the National Physical Laboratory in West London created the world’s smallest snowman back in 2009. 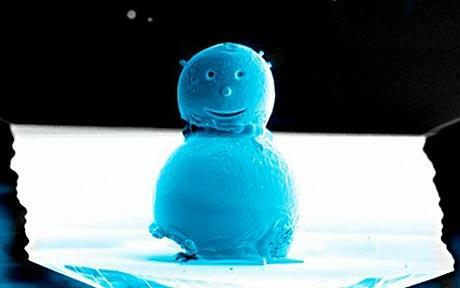 The miniature snowman was just 0.01mm and was designed using tools designed for manipulating nanoparticles. Snowman also need their own snowy landscapes, right? 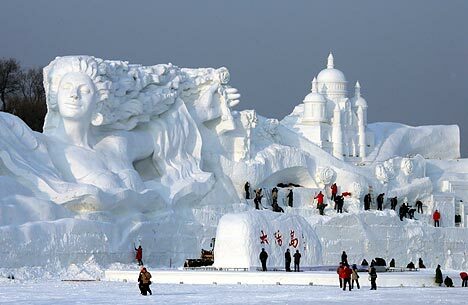 And the biggest and best snow sculptures were adjudicated by the Guinness World Records on 1st January 2007 in Harbin, China. The largest snow sculpture was measured to be 115ft tall and 654ft wide. The sculpture, known as ‘Romantic Feelings, was created as part of annual Harbin International Ice and Snow Sculpture Festival, with 600 sculptors from 40 countries creating the beautiful Olympic-themed landscape, which even featured a Russian church and a French cathedral. The very first Snow Burning Day was celebrated at Lake Superior State University on 20th March 1971, by the former campus club Unicorn Hunters. The ideas was inspired by the Rose SunDay Festival in Germany, where the mayor passes through the town with a snowman made from straw. If the children of the town had been well-behaved, studied and obeyed their parents’ orders, the mayor would order for the straw snowman to be burnt. Lake Superior is known as one of the coldest areas of the country, making creating and burning a snowman very easy. The campus club chose to burn the snowman to mark the end of winter, and celebrated by enjoying a variety of hot dogs, burgers and a big fire. In 1992, Snowman Burning Day was cancelled due to environmental concerns. 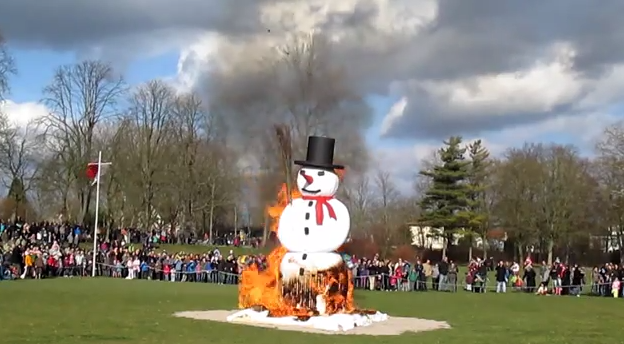 The public were outraged by the cancellation and launched a petition to bring back the event, and so Snowman Burning Day returned and has continued ever since. Know that you know about snowmen, we think it’s time to learn more about the stuff that creates them. Take a look at 10 Snow Facts to Make You Feel Festive. 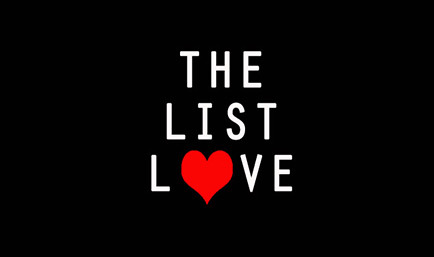 Don’t forget to follow The List Love on Facebook, Twitter and Pinterest, too.